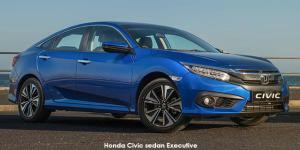 The quiet hum and athletic form of the Honda Civic is turning heads at Mekor Honda Tygerberg. This is thanks to its low stance, clean lines and advanced aerodynamics. Comfort is optimised for all passengers with ergonomically shaped front seats and generous leg room in the back ensuring premium ride quality. To experience driving pleasure with the Honda Civic’s eco-friendly Earth Dreams Technology and 27kW VTEC turbo engine, visit Mekor Honda at Mekor Honda Tygerberg for Cape Town Northern Suburbs, Stellenbosch and Somerset West.